Longtime readers of Nintendo Times have known for quite some time that Super Mario Bros. 2 was on its way to the NES. 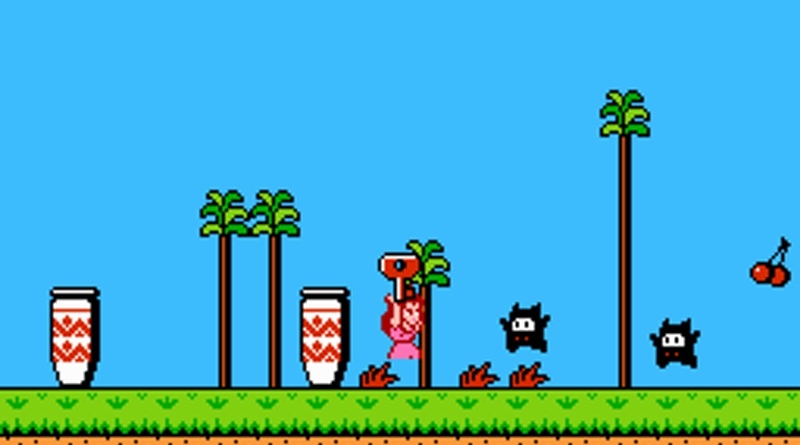 As a matter of fact, the Japanese version of the game was released two years ago for the Family Computer Disk System (the add-on attachment for the Japanese NES). Nintendo of America has passed on releasing this expensive add-on in the States, but we wondered what was taking so long for Mario 2 to get a release over here? The other major problem facing the release of the game is the massive computer chip shortage that has gripped the video game industry. It turns out that the demand for the chips used in game cartridges has far outstripped the supply. This is in large part due to the massive success the NES has seen over the past few years. As the install base has grown, so has demand for new games to play. In addition, many new third party licensees have joined up with Nintendo to create new games, each wanting to produce hundreds of thousands of Game Paks. This has caused massive delays in rolling out new games, especially when many in the catalog continue to sell (The Legend of Zelda has passed the 1 million sold mark). We’ve heard snippets of information about the upcoming Super Mario Bros. 2 via Computer Entertainer and the Nintendo Fun Club Newsletter, but as of this date had not seen a single screenshot. Well, we’re happy to report that we’ve snagged some screens of the sure-to-be massive hit and we like what we see! First up, the really cool thing about Super Mario Bros. 2 is that you can select from four playable characters. Each one has their own special set of powers! Mario is the all-around hero with average jumping ability. Luigi is the power-jumper of the group and can reach new heights! Toad (who you might remember as a Mushroom Retainer from the first game that always told you the Princess was in another castle) has the worst jumping of the bunch, but makes up for it in speed. Finally, there’s Princess Toadstool, who can float long distances, but is the slowest of the bunch. Speed is impacted whenever the characters are carrying an item. Unlike the first game, stomping on enemies won’t get you far. In fact, you’ll be able to jump on top of the various baddies and pick them up and thrown them! If you manage to hit another enemy they’ll often both be destroyed. Throughout the various levels you’ll be able to pick up small shrubs and reveal vegetables that can then be tossed to kill off your adversaries. The original game focused more on jumping and action, but Super Mario Bros. 2 will require a bit more thinking and takes on a slightly more adventurous tone. You’ll come across locked doors that require a key, which is often hidden somewhere in the level. You’ll need to hoist it above your head and carry it to the door to proceed. You’ll also notice the graphics are much brighter and even more colorful than ever before. The sprites have more detail and Mario finally returns to his normal red and blue garb. All of the enemies have been completely overhauled and the game features a slew of new foes to overcome. From an evil mouse that throws bombs to snakes that hop out of vases, you’re sure to come across some difficult opposition. We have yet to get our hands on the game to play it for ourselves, but Super Mario Bros. 2 looks to be a great sequel. It features all-new gameplay mechanics that focus on lifting and throwing items and enemies. The world seems more varied than ever before (waterfalls, caves, ice levels, and more) and we can’t wait to explore the vast levels. Right now the game has been pegged for an October release, but with the chip shortage strangling the market, we’re not sure if that date will stick or not. Perhaps we’ll hear more at the Summer CES, which takes place just a few weeks from today. Stay tuned!